If you want to read Julian Clary's poetry about the Queen, Roger Law's musings on flatulent kangaroos, or have often wondered how you might make a waterproof apron out of a whale's foreskin, your Christmas gift dilemma has just been solved. Perfect for pub quiz experts, fans of Guinness World Records and lovers of all things QI. WARNING: very silly indeed. Will offend dullards, whales and parents in no particular order. 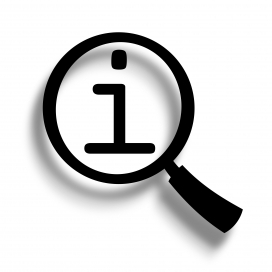 The QI Annuals are the nearest things to having the hit BBC TV show live in your living room. 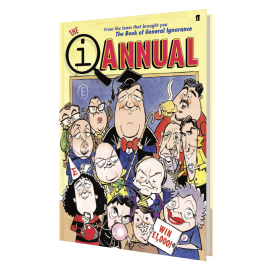 Top comedians and brainiacs, from Stephen Fry and Alan Davies to guests such as Phill Jupitus, Jo Brand, Clive Anderson, Jeremy Clarkson and Rowan Atkinson, have joined top cartoonists and illustrators, and the estimiable QI elves themselves in the first three QI Annuals, covering the letters E, F and G (starting at A is so overrated). A Humungous Haul of Honey, Halves, Hipsters, Hats and Health & Safety from those Highbrow Homunculi at QI! Heaving with Hippos, Heraldry, Hot-dogs, Hermaphrodites and Houdini! Marvel at Superfry and the Hair-raising Happenings of Captain Vegas, Wonderbrand and Rossnobleman! Plus, Doctor Derren - alias Hypnoboy - and the Horrendous Hamsters of Judge Jupitus!